It's always fun to look back at the good times. As the year comes to an end, it's a good time to reflect on the events that made it memorable. Let’s take a look at some of our favorite parts of 2018. This year, we were given the opportunity to have some of the most talented musicians perform during our Live Sessions. Some of our favorites include the original line up of IV of Spades, Orange & Lemons, Sponge Cola, Ben&Ben, Hilera, Runway Crimes, I Belong to the Zoo, as well as Barbie Almalbis and Kitchie Nadal for a special Live Session in partnership with ProMama called “Rock-a-by Mama.” There really are too many artists to mention, so check out our YouTube channel to go back to your favorite ones! Aside from well-known musicians, we were also fortunate to introduce some of the most up and coming artists on the music scene such as today such as Janel Favila, Blind Stereo Moon, LTNM, The Soul Sisters, and many, many more! This segment in our Live Sessions truly showcased the diversity and artistry of Filipino musicians. Here at One Music PH, we’re all about highlighting Pinoy talent. And our Star Magic artists are no exception! Some of our most memorable guests include JM De Guzman, Bugoy Drillon, Young JV, Jed Madela, and our newest POPSSSS host Ryle Santiago with his mom Sherilyn Reyes-Tan! We brought good music for a good cause at this year’s One Paradise beach clean up and benefit concert at San Juan, La Union! It was here where we helped clean the surf spot’s coastline and heard good music from Timmy Albert, Michan, Fuzzy Fernando, Carlo Aquino, Matteo Guidicelli, Kiana Valenciano, Kjwan, 6cyclemind, Ana Ramsey, and DJ Onse! This year, we also had the privilege to bring some of the biggest concerts within your reach via livestream, showcasing the talents of the amazing Ebe Dancel, Soul Supreme KZ Tandingan, the words smiths that are Third Flo, Al James, 727 Clique, and Ex-Batallion for the first ever hip-hop concert “FRESH,” and of course, the grand birthday concert of the Queen Mother, Karla Estrada. Although it was just a short season, we enjoyed having #KissTon, made up of Tony Labrusca and Kisses Delavin, with us to discuss some of life's most pressing topics. 2018 gave way to one of our newest online shows: Wander Jam with our Migz Haleco, where we got to have initmate conversations with some of the biggest stars in the industry, like Asia’s Songbird and new Kapamilya, Regine Velasquez-Alcasid. 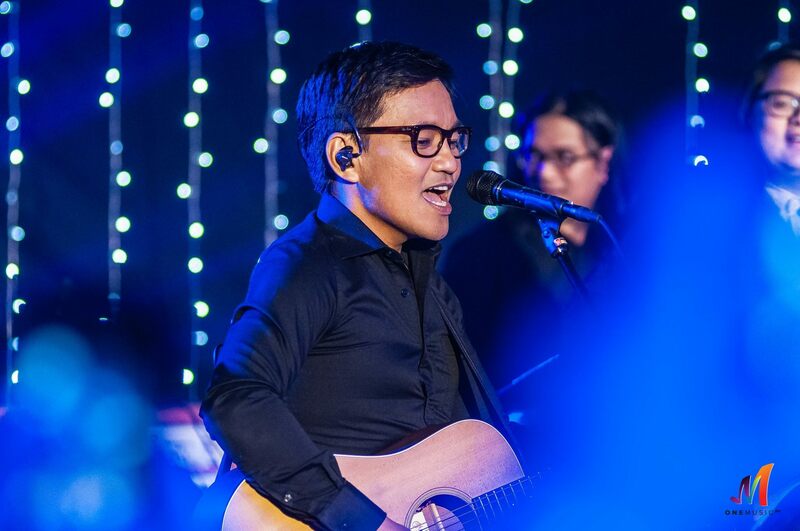 This was also where Ebe Dancel shared his struggles with mental illness and his choice to take a break from live performances. Let’s not forget, this is where we witnessed Inigo Pascual get very emotional for the first time. Migz did a great job getting to know our guests beyond their music! This was the year our POPSSSS Family grew even bigger! We had some amazing guests and guests hosts, such as our good friend John Roa, and we also added some fresh faces to the POPSSSS Squad— Ryle Santiago, Jayda Avanzado, and AC Bonifacio! Who remembers that epic season premiere at Novotel? It’s always a treat to be invited to some of the most prestigious music events in town. Some of the concerts we enjoyed attending this year include Unique’s Grandma Tour, getting to follow a diehard KathNiel fan at Daniel Padilla’s D4 concer, Mariah Carey Live in Manila, Aaron Carter’s LøVë Tour, the TNT Boys’ “Listen,” Boyz II Men with DIVAS, and AC All About It! Honestly, our team would not have delivered such amazing shows if it weren't for our loyal followers. So to everyone who has supported One Music PH this past year and from the start, we would like to say thank you for believing in us. We hope that you continue to support us and help the community grow as we start the new year! We know we can’t really list down exactly all our favorite moments of 2018, so we put it in a short video for you. Enjoy! What was your favorite moment of 2018? Tell us in the comments below!